The first image of Ramola that comes to mind is as the leader of a gang of girls cycling singing Sawan Ke Nazare Hain and who bang into a gang of lads out cycling and thus meeting the hero (SD Narang) in Khazanchi (1941). The film is an important one not just for being Ramola’s breakthrough film but also for its songs. By then composers of the 1930s, who had embellished films with their exquisite compositions set in classical ragas, were beginning to sound commonplace. Khazanchi’s refreshingly free wheeling music by Ghulam Haider incorporating Punjabi beats not only took the audiences by storm, but also made other music directors sit up and take notice. With this film, Haidar ensured that the Indian film song would never be the same again. Ramola was born Rachel Cohen on July 5, 1917 in a Jewish family to a school-master father, Hayam Cohen. Her childhood was spent in Bombay before the family migrated to Calcutta where Ramola finished her schooling. In Calcutta, Ramola began her acting career on the stage and then in films with the Bengali film Graher Fer (1937). 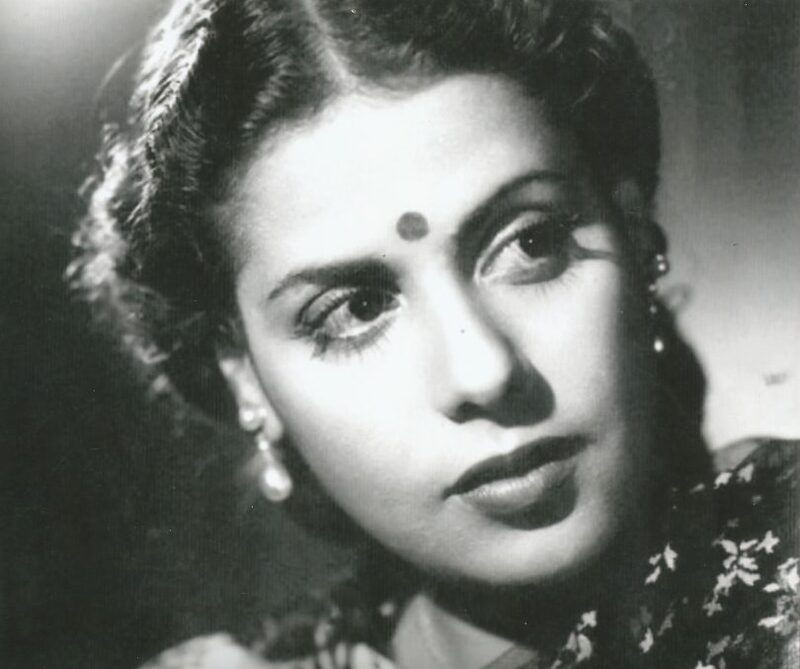 Earlier, she had been rejected by Nitin Bose at New Theatres because of her height – she was barely 5 feet – but Graher Fer led to more roles in Bengali films like Gora (1938) and Rikta (1939). She also acted in Kidar Sharma’s directorial debut, Dil Hi To Hai (1939), where she convincingly played a modern college girl who destroys the dreams her father had for her. And with Khazanchi (and Sawan Ke Nazare Hain), Ramola finally became a pan-Indian star. A review of the film labelled her the buoyant spirit of the film while declaring that her scintillating charm hypnotizes the audience which constantly aches for her appearance on the screen. Some other of Ramola’s important films include Khamoshi (1942), Shukriya (1944), Albeli (1945), Hum Bhi Insan Hain (1948) and Jhooti Kasmen (1948). She acted in a number of films that were directed by HS Rawail and RC Talwar respectively, while reuniting with Kidar Sharma for Kaliyan (1944). And as was the fashion with famous and successful film stars of the day, she also endorsed Lux soap in the 1940s. 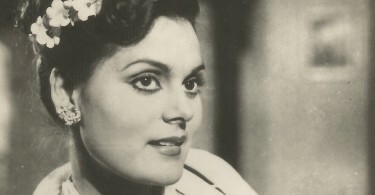 Special mention must be made of Ramola’s two films with Kishore Sahu, where she made a particularly strong dramatic impact as an actress – Rimjhim and Sawan Aya Re, both coming in 1949. However, seeing that by now younger and fresher heroines like Madhubala, Nargis and Meena Kumari were beginning to make a mark in the Hindi film industry, she retired gracefully from the silver screen following Jawani Ki Aag (1951) and Stage opposite her Hum Bhi Insan Hain co-star, Dev Anand. Ramola’s filmography also includes Gypsy Meye (1950) and Anurag (1951), both made in Bengali. Ramola was married twice. Her second husband, Leslie Rondeau, was a Captain in the British Air Force, who helped to train Indian pilots in the IAF post Indian Independence. Her son, Sam, from her first husband, migrated to Israel in the 1950s. She had two daughters, Dena and Linda, from her second marriage. Dena, based in London today, even acted in a film, GP Sippy’s Ahsaas (1979), and works in the fashion industry while Linda, a resident of Bombay, was an air-hostess with Air India. With her generous and large hearted spirit, Ramola also ‘adopted’ and looked after another 14 families, helping them move ahead in life. Ramola passed away in Bombay on December 10, 1988 at the age of 71. Header photograph courtesy Dena Rondeau. फिल्में और फिल्मकारों का Courage – क़माल का रिश्ता है ये! ramola’s daughter name dina. .
Did she do her schooling from Dow Hill in Kurseong ? Hi. This is Dena. Yes, I did go to Dow Hill. Are you connected to Ramola ji?? Really..ramola ji paased away 1988 ??? Yes. She passed away in Mumbai on the 10th of December 1988. Thnks 4 reply dena ji..
I’m big fan of ramola devi..
And often seen khajanchi movie. Have you met your brother sam some time? Hi Dena, I bumped across your sole Bollywood movie Ahsaas and liked it. How have you been and what are you doing presently. WIll be good to know.